TMP has introduced “The Starter”, a small lamination press suitable for low-quantity, special card production, laboratory or prototype work, or as a start-up press for new companies. The standard model has a 10″ x 10″ platen size and is capable of producing about 160 cards per hour. The lamination press has one hot and one cold opening, with work manually transferred. 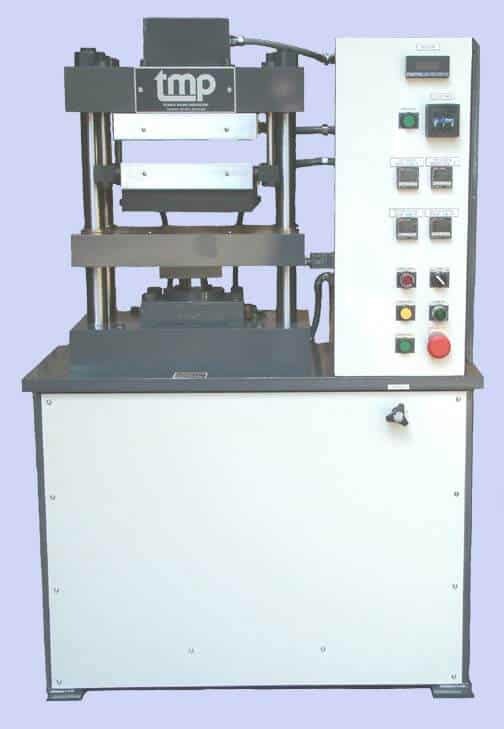 This simulates TMP’s dual press, high production system, making it an ideal laboratory or prototype press. The Starter Lamination Press is compact and easy to install and operate with basic automatic controls, providing accurate temperature control of the electrically heated platens and an electronic timer. It uses only one-half the electricity and produces three times the cards of a traditional small lab press. As a turnkey system, it is delivered with transfer trays, polished lamination plates and lamination pads. 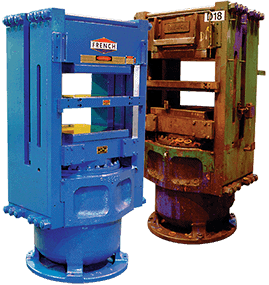 Read how French Oil Mill Machinery Co. recently custom designed several Vision® Series 100-ton hydraulic presses with optional lamination package used to manufacture components for U.S. submarines.